Pursuant to California Public Utilities Code section 130051.18 and the Los Angeles County Metropolitan Transportation Authority ("Metro" also referred to as "MTA" within the legal documents) Administrative Code chapter 5-25, all lobbyists, lobbyist employers, and lobbying firms that attempt to influence Metro action are required to register with Metro and to report their lobbyist activity on a quarterly basis. Registration must be renewed on an annual basis. A lobbyist is any individual who receives any economic consideration, other than reimbursement for reasonable travel expenses, for lobbying. The term “lobbyist” includes consultants and officers or employees of any business entity seeking to enter into a contract with the MTA. (Pub. Util. Code § 130051.18(a)(11); MTA Administrative Code section 5-05-150). Any contact beyond submitting a bid is likely lobbying and thus, the contacting person and/or company making a contact beyond submittal should be a registered lobbyist. If you have any question on whether or not you should register as a lobbyist, please call the Ethics Department at 213.922.2900, or email us at ethics@metro.net . 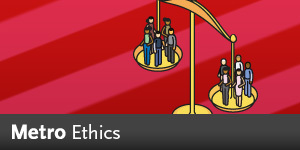 The Ethics Department has an Online Filing System for the submission of all lobbyist forms. Please click on the link below to be redirected to our Lobbyist Online Filing System. Metro Ethics & Lobby Registration Dept.